Southern Indiana's riverfront, historic downtowns, and metro corridors welcomed new entertainment, restaurants, and recreational spots in 2017. SoIN&apos;s riverfront, historic downtowns, and metro corridors welcomed new entertainment, restaurants, and recreational spots in 2017. You now have more options for dining, live entertainment, and outdoor fun when you visit us. 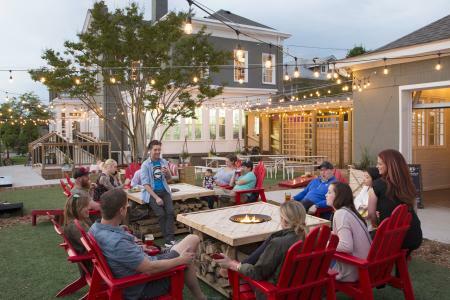 Parlour’s pizzas, salads, sandwiches, and spacious beer garden that includes Adirondack chairs, fire pits, and corn hole, make this one of SoIN’s favorite gathering spots. Parlour is near the Big Four Bridge access ramp at Big Four Station Park in Jeffersonville. MESA, a Collaborative Kitchen gives foodies an up-close and personal dining experience. 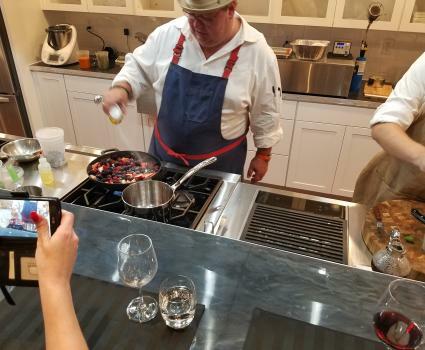 Notable and aspiring chefs from the Louisville and SoIN region prepare 3-5 course meals, and demonstrate craft cocktail creations and wine pairings in its state-of-the-art kitchen. Located in the heart of New Albany’s emerging restaurant scene on Pearl Street. Gospel Bird restaurateur, Eric Morris, wanted to create a fun, casual place where friends could gather for great seafood. 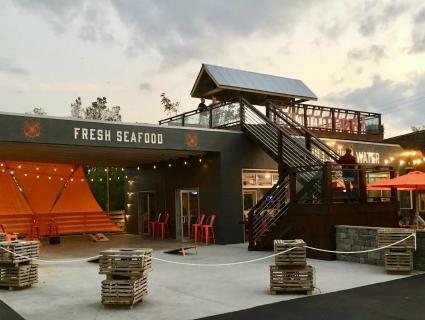 Opening late summer, Hull and Highwater’s peel-and-eat shrimp, raw oyster bar, fried or blackened fish sandwiches, and seafood tower indeed make this a great SoIN seafood spot. Want more foodie spot suggestions? Search listings on our Local Dining Guide page! Abbey Road on the River, the largest Beatles-inspired music festival, crossed over the river from Louisville to SoIN in 2017. 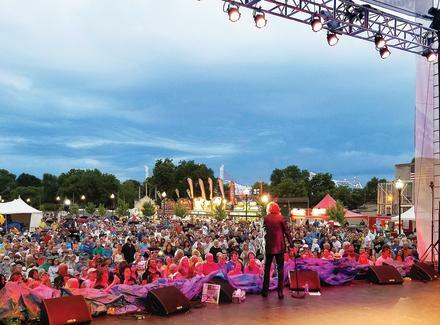 Held in Jeffersonville’s Big Four Station Park May 25-29, more than 17,000 people gathered to hear over 100 performers from the 60s, 70s, and 80s. Bands included greats such as The Grass Roots, Peter Noone, and The Family Stone. The festival will return to Jeffersonville in 2018, over Memorial Day weekend, May 24-28. 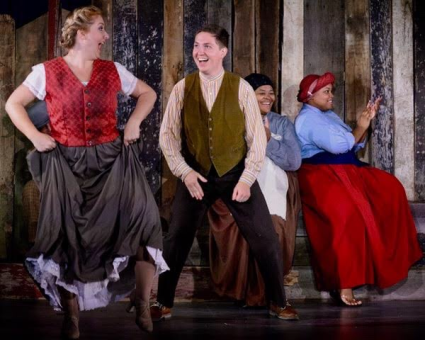 Though community theater is not new to SoIN, the new TheatreWorks of Southern Indiana increased SoIN visitor entertainment options, especially for New Albany’s downtown area. Making the historic Second National Bank building (the Parthenon) its home, the non-profit theater company began in June with Neil Simon’s “Rumors” and has sold-out shows for nearly every production. Clarksville gained two family-fun spots in 2017: Clarksville Strike and Spare and Clarksville Cove Family Aquatic Center. Clarksville Strike and Spare’s 26 bowling lanes has state-of-the-art scoring systems, laser tag, roller skating, a “lazer maze,” arcade games, bumper cars, and glow bowling. 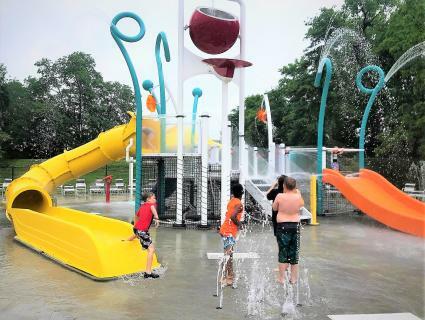 Clarksville Cove features three splash pads, water slides, a swimming pool, and a birthday party pavilion. Development of the final leg of the eight-mile Ohio River Greenway began in 2017. Completion of the 1.3-mile Lewis and Clark Trail segment in 2018 will be great news to walkers and bicyclists, as it will connect Clarksville and New Albany’s scenic Ohio riverfront. 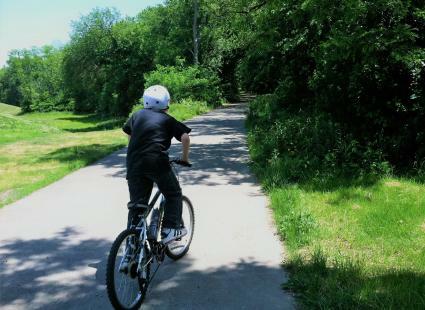 The greenway’s walk and bike path will eventually link Jeffersonville, Clarksville, and New Albany, providing a safe, connected green space. Discover ways to have fun in SoIN! Go to our Things to Do page for events, outdoor recreation, entertainment, and more.